Cabinet Code Locks offer basic key-free access control for cabinets, these are mainly used for gym and swimming pool lockers but can be used for cupboards and more. 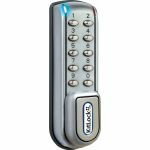 You can use these codelocks for different purposes, the programmes may include repeated use, this is the most popular option which the same code will be repeated used or the locker mode where the user inputs one code which locks and opens the lock just once and is deleted - perfect for keeping your valuables safe. 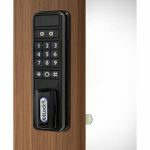 From popular brands such as Codelocks, they manufactured to a high quality finish and have wonderful designs to suit all types of cabinets; we even offer cabinet code locks that are designed to deal with heavier use and tougher environments. 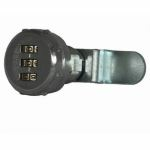 You can also check out the heavy duty electronic code locks we have available for a fantastic value for money.